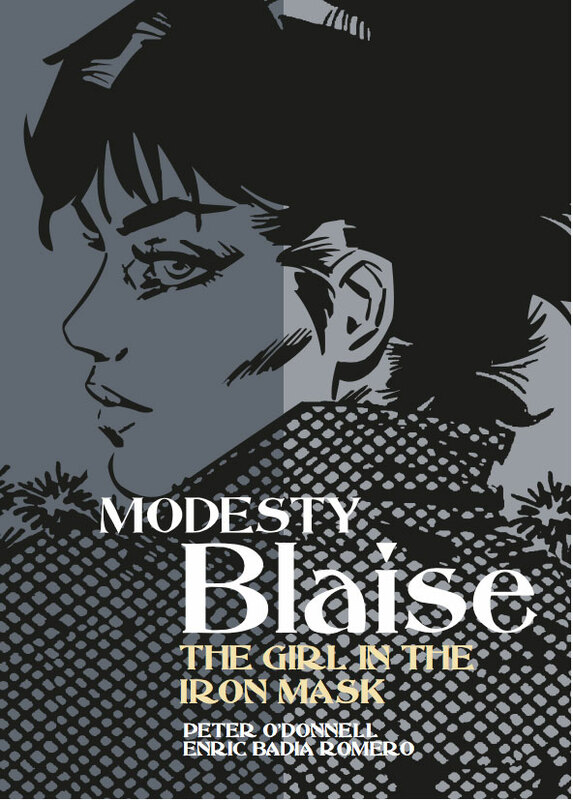 Titan Books has been doing reprints of the Modesty Blaise comic strips for close to a decade now, and the latest volume reaches American shores on Tuesday, The Girl in the Iron Mask. 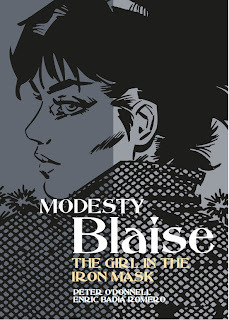 What's interesting about Modesty Blaise, as an American who went into it with no knowledge of the existence of the comic, is that it doesn't feel old in any sense other than the similar stylings to the other serialized comic strips I remember from when I was younger, most notably Brenda Starr, Reporter. As far as espionage comics go, this gives me a lot of reason to try and start from the top. The new volume is fairly barebones on a whole - a quick intro followed by just a flood of the dailies. The dailies are pretty high quality, they look as if they were restored from the original artwork - hardly a guarantee of anything from this era. The writing is also sharp and clear, not always a given for comics of this type. With 16 volumes in the past, there's a lot in there worth catching up on, so I have some work to do, don't I? You can track these down at Titan.